Today, rooftop revelry is a summertime must in NYC. 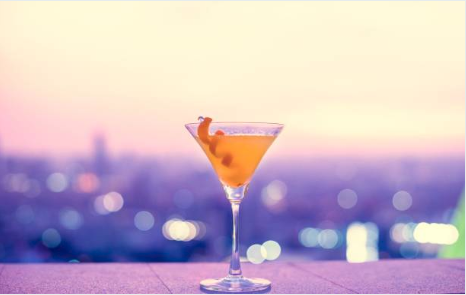 Sky-high bars scatter the city, curating their own vibes, cocktail menus and clientele. What many people don’t know is that the predecessors to these bars were even cooler. Back in the day, starting in the 1880s or so, a number of prominent NYC theaters had rooftop ‘theater gardens’ where patrons could drink while watching live performances. The performances were typically instrumental, though they occasionally included dancers and even acrobats. The trend began with the Casino Theater at 39th street and Broadway, but quickly spread to nearly every neighborhood in the city. Many of these rooftop spaces were designed after Parisian gardens or German beerhalls, and thus catered to a certain rung of Manhattan society. If this sounds like your idea of a good time and you’re wondering why it’s no longer an option, you can blame something that, ironically, we treasure today: air conditioning. Once theaters and other venues developed a way to drop their temperatures, people went back inside.